This content has been subject to review and production implementation in a wide variety of environments. The content is considered to be stable and has been 'locked', subjecting it to FHIR Inter-version Compatibility Rules. While changes are possible, they are expected to be infrequent and are tightly constrained. While HL7 prefers to avoid this outcome, there are a number of resources where the overall functionality of the artefact is clearly ready to be labeled as 'normative' while some very specific parts are known not to have the requisite level of implementation experience as the rest of the resource. E.g. Bundle.signature. Where a Normative resource contains elements marked as trial-use, these elements are clearly marked in the resource definitions. Implementers should be aware that future versions of the FHIR specification may change these parts of the resources (in addition to the other changes allowed under the inter-version compatibility rules. While HL7 will carefully consider the consequences of breaking change to these elements, implementers should be aware that reading/using these elements has the potential to cause breaking change to their applications later. Note: it is also possible that some resources in the future will be labeled as 'trial use', but contain some elements labeled as 'normative'. There is no resource like this in this specification, though all Trial Use resources contain normative content from Resource and DomainResource, and the Data types. This release (Release 3) is a Trial Use Specification, though a little of the content (where marked specifically at the top of the page) is Draft. For Release 4, some content is planned to be Normative. Between FHIR release 2 and 3, HL7 changed from using "DSTU" (Draft Standard for Trial Use) to just simply "STU" (Standard for Trial Use) to reflect the maturity of the FHIR specification: Release 2 and particularly this Release 3 are far beyond "draft" specifications, and have been and will be widely implemented. The content of this release has been subject to significant review through ballot and other HL7 processes and many aspects of it have been implemented and subjected to interoperability testing through Connectathons and early adoption. However, the degree of testing has varied. Some resources have been well tested in a variety of environments. Others have received relatively little real-world exercise. In general, the infrastructure should be considered to be more stable than the resources themselves. In some cases, there are issues on which input is specifically requested during the Trial Use period (see the Outstanding Issue List, and known issues will arise after publication (refer to the FHIR Change Request tracker for details.) Guidance from early implementation will help address these areas. The Maturity level is strongly related to stability; the higher the maturity level, the more controls are enforced to restrict breaking changes to the resource. For further information, and discussion, see the FHIR Wiki . New versions of FHIR will be published on a release cycle of approximately 18-24 months. This frequency is based on the timelines necessary to consult with implementers, to develop and review new content, as well as to undertake the formal balloting and reconciliation processes required for ANSI-approved standards. This release cycle also ensures an opportunity to incorporate implementer feedback from earlier versions of the specification into subsequent versions. Limited-scope releases on a shorter timeline may occur occasionally where necessary to meet implementer needs. For further information, see Managing Multiple FHIR Versions. NOTE: The examples provided as part of this specification are never substantive. While every effort is made to ensure that FHIR examples are correct, changes to the examples in the specification are not considered substantive. Content with a status of Draft or Trial Use can change - including Breaking Changes - from version to version, subject to the rules described by the Maturity Process. There are no rules for maintaining any sort of compatibility between versions for content with these statuses, though of we will only make breaking changes based on feedback from the community. Once an artifact achieves Normative status, specific rules come into play around inter-version compatibility. These rules have implication for both forward and backward compatibility and are intended to allow implementations to exercise FHIR interfaces and process the content of FHIR resources safely while exchanging data between systems using different versions of FHIR. Forward compatibility means that content that is conformant in an old release will remain conformant with future versions. Once normative, FHIR's rules try to enforce forward compatibility. However, that doesn't guarantee that all old systems will interoperate with future systems. Ignore unrecognized search criteria - see Handling Search Errors for further information. Respond to HTTP commands on unexpected URLs with an appropriate error code. However, in a healthcare context, many implementers are unwilling to consider some of these steps because of concerns about clinical risk or technical limitations in their software (e.g. schema based processing). Elements New optional elements and/or content (e.g. XML attributes, etc.) may be introduced at any location in resource and data type structures provided they do not constitute "isModifier" elements. However, the names, path and meaning of previously existing data elements will not be changed. This means there will be no change to resource names and no changes to names assigned to slices and other elements within profiles. Cardinality Minimum element cardinalities will not be changed. Upper cardinality may change from 1 to * only in circumstances where all elements except for the first repetition can be safely ignored. Note that this may change the path to the element in some syntaxes (e.g. JSON). This may mean that an order is assigned to the repeating items or that there is no preference as to which element is retained. Systems should follow the rules above for unexpected elements. Extensible bindings will remain extensible and will continue to point to the same value set. If the reference is version-specific, it will not change. Data Types Except as described in the preceding paragraph, Data types will not be removed or changed except as allowed above for elements. New data types may be introduced. Types declared on existing elements will not be removed or changed, except for the special case that string may be changed to markdown. Additional data types may be added to elements which are already expressed as a choice of data types only if those elements are optional (minimum cardinality = 0). Search Criteria Search criteria may be added but not removed or renamed. Existing criteria will not have their type or path changed or have their description altered in any way that would invalidate the reasonable behavior of existing systems (with the exception of correcting obvious errors). Operations New operations may be defined but operations will not be removed or renamed. Existing parameters will not be removed or renamed, nor may their type or lower cardinality be changed. Upper cardinality may be changed from 1 to *. (Systems should ignore unexpected repetitions.) Additional optional parameters may be introduced. Changes to operations that would violate the preceding constraints will be handled by defining new operations and, potentially, deprecating the old operations. The computable artifact labels (e.g. codes, element names, urls, etc) associated with withdrawn materials SHALL not be used in future versions of HL7 specifications. Materials marked "deprecated" may have that marking removed as part of a subsequent ballot at a later moment, while withdrawn materials SHALL NOT. 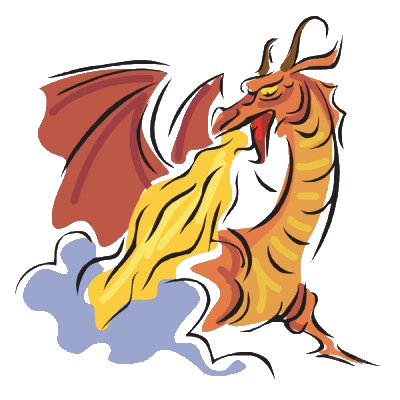 Additional discussion on inter-versioning issues can be found here: http://wiki.hl7.org/index.php?title=FHIR_interversion_compatibility . Regardless of the degree of prior implementation, all aspects of the FHIR specification are potentially subject to change while an artifact has a status of Draft or Trial Use. These changes may be minor (clarifications of definitions, etc.) or major (refactoring of resources, changes to serialization rules, eliminating or adding data types, etc.) There is no commitment to backward or forward compatibility during the trial use process until content is normative. Changes will not be made without cause, however the interests of long-term implementability will generally trump the impact on early adopters when determining what changes should be made. This balance will shift more towards early adopters as maturity levels increase. I.e. Impact on existing implementations will be weighted more highly for an FMM-level 5 artifact than they would for an FMM-level 1 artifact. During the Trial Use period, requests for change may be submitted using the HL7 gForge tracker which can be found here . Where possible, updates to the "development" version of the specification will be made in a timely fashion. Implementers should be aware that the changes are not considered "official" until such time as they are balloted and approved as part of a subsequent Trial Use or Normative publication. Change requests might be fixes to allow implementation, clarifications or enhancements. In addition, HL7 will be developing and introducing additional resources and profiles as part of the FHIR specification. SDOs and regulatory bodies that are interested in making use of the FHIR specification should feel free to do so, but should consider and plan for the possibility that the specification will evolve and change prior to becoming Normative. A key aspect of the FHIR specification development process is gaining feedback from implementers making use of the specification. As well, the process is conditional on real world implementation in order to move through the maturity cycle. For this reason, all FHIR implementers are encouraged to register their usage here , which captures contact and other information that will allow HL7 to perform appropriate monitoring of FHIR usage. Survey information is confidential and reported in aggregate only. Many implementations need to convert resources from one FHIR version to another. Once resources become normative (once sufficiently mature and stable), converting resources forwards from past versions is not needed. Converting back to older versions presents a challenge, however, in that the newer version may add additional elements that are not present in the older version. In some cases, the elements are simply irrelevant since the requirements they represent are not in scope for older applications, but in other cases, it is necessary to represent the data in order to cater for round-tripping. A more complex problem arises with resources that are not yet stable (early in the maturity process). If applications have implemented less stable resources, not only do they have the problem of new elements for new requirements, the specification may change in either compatible or incompatible ways, and it may be necessary to carry data elements from past versions forward in order to allow seamless round-tripping. While implementation of this Trial Use release is occurring, development will be progressing on the next release. This next release will include additional resources, profiles and quality enhancements over the current release. It will also incorporate fixes for issues raised with the FHIR change tracker . It may be useful for implementers of the STU to review the development release to get a sense of what changes are likely coming and perhaps to find more robust definitions and guidance than are available in the first release. The FHIR development release can be found at build.fhir.org . Some implementers who are dependent on content that exists in a draft release may choose to implement based on a particular snapshot of the development release, though in doing so, they will limit their potential communication partners and would not be considered to be completely FHIR conformant. The next major publication of FHIR will be Release 4. It is our hope that this release will include the transition of some of the content of the specification to Normative. This should include many of the core infrastructure resources (e.g. StructureDefinition, ValueSet as well key pages such as the XML and JSON syntaxes, RESTful protocol, etc. It should also include at least a few of the administrative resources such as Patient. Much content, including most if not all clinical and business resources, will remain at the Trial Use level as they are not expected to meet the criteria for Normative. There will be additional releases of FHIR with a frequency of between 18 and 24 months for the foreseeable future. These releases will include new content (e.g. in the public health, financial or clinical research spaces), revisions reflecting implementer feedback and increasing maturity on Trial Use artifacts and the migration of additional content to normative status. As well, HL7 will gradually shift focus to providing additional guidance through the publication of implementation guides and profiles where consensus can be found at the international level.